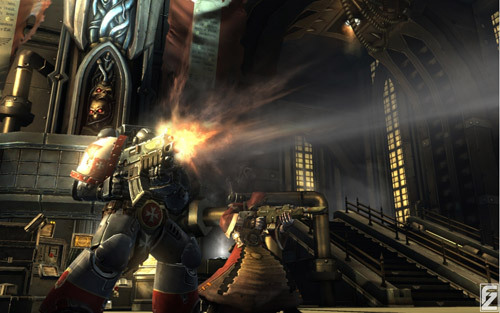 warhammer 40000: dark millennium online trailer RELEASED! 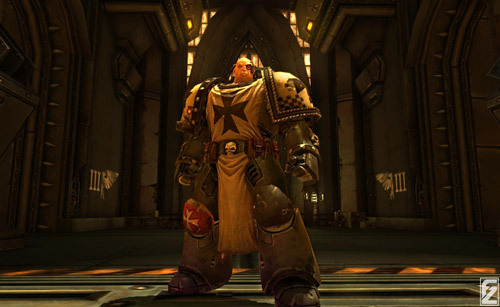 The God-Emperor of Mankind has given us a ray of hope for the upcoming millennia against the demons of filth, lust and aberrant sexual behaviour. He has also very diligently pinpointed multiple time frames when on a strict geek machismo diet of soft drinks and hard pizza we will clench teeth and chainsword. Yes. 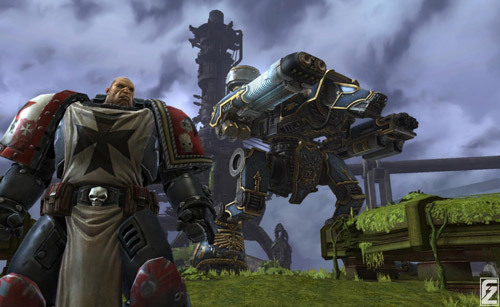 Vigil Games and THQ just announced the first trailer for Warhammer 40K: Dark Millennium Online, the MMO game us WH40K fans have been waiting for a long, long time. (Well, ever since Dawn of War was released.) We know that further details about the game will be released in August at the Gamescom event in Cologne. Pictures below come from Swedish game site FZ.se (hit link for a much better resolution) and all this post is made possible by the speed and dedication of my reader Riplakoidase – thx a lot, man!